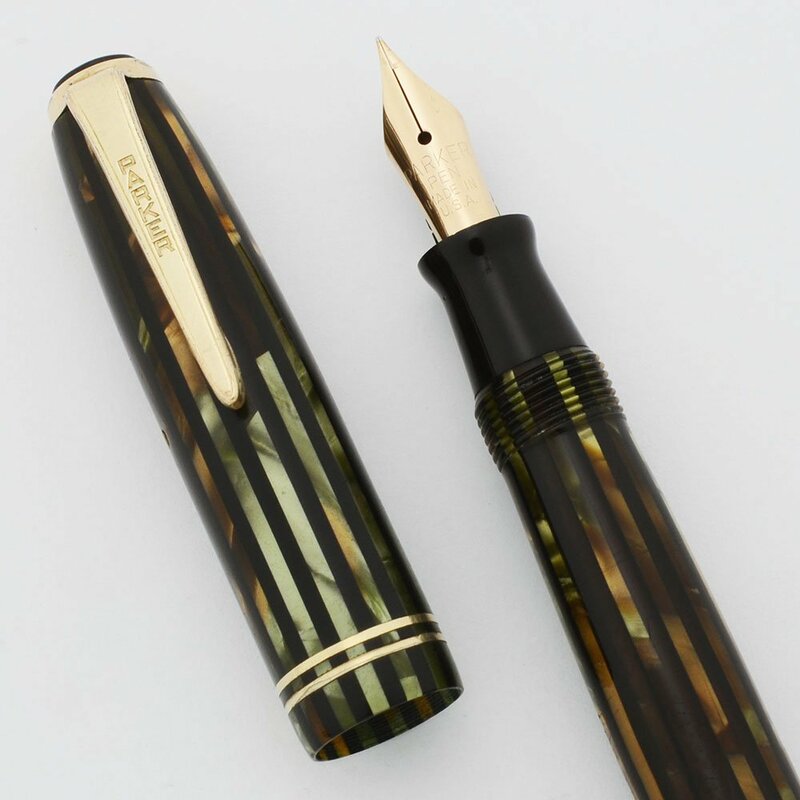 Parker "Duovac" Duofold Vacumatic Sub Deb fountain pen from 1940. Green Stripe pattern. The Sub Deb and Junior Duovac pens are virtually identical but they are different in size. The pen has a fully restored vacumatic filling system and a semiflexible fine gold nib. Excellent + condition. Type Vintage Vacumatic-filling fountain pen. Length The pen measures 4-3/4" which is the Sub Deb size. The Junior was a more or less full size pen at 5-1/4"
Filling System Vacumatic filler. Aluminum Speedline filler. We've restored the filling system with a new diaphragm and it's working perfectly. Color Green and brown (alternating with dark transluscent stripes) body and cap, with gold plated trim, two thin cap bands, and a black cap jewel. 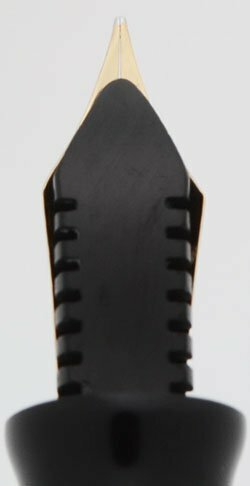 Nib SEMI-FLEXIBLE FINE gold Parker Pen nib is smooth with nice tipping material. It is a narrow fine and not quite what we'd call a vintage extra fine. 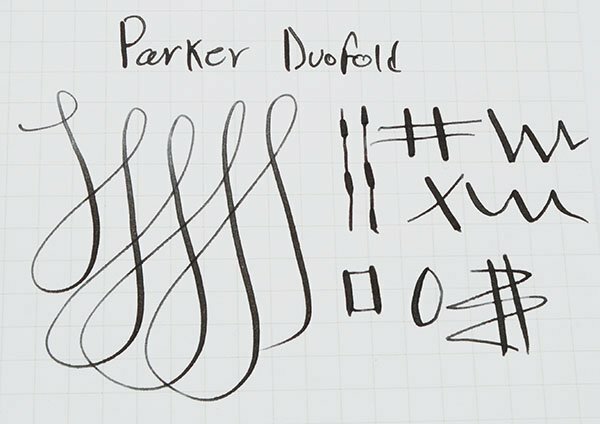 You can get good line variation from the nib. See the writing sample below. Condition Excellent + condition. The pen has some brassing on the cap bands. The pen has more handwear on the cap than the barrel. The imprint is easily read and the barrel transparency is very strong. No cracks or chips, dings or dents, or personalization. The aluminum plunger has usage marks.